View basket “Oliver S – Parachute Polo and Sweatpants 5yrs – 12yrs” has been added to your basket. This basic knit polo or rugby shirt includes an inset woven placket and one-piece woven collar and can be made for girls or boys. The boys? version features a longer shirt and wider sleeves; the girls? version is a bit shorter with more fitted sleeves. 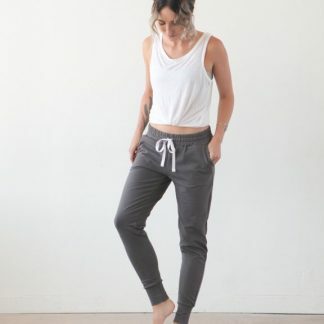 The sweatpants include an elastic waistband and drawstring as well as a contrast-color side panel and elastic at the ankles. This pattern offers lots of great casual or athletic options for kids of all ages. 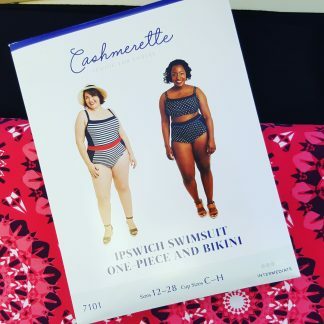 Each Oliver S pattern calls on a unique set of sewing skills. Haven’t ever done one of these things before? Don’t worry. We’ll walk you through it, step by step. Polo shirt: Coordinating thread, three 1/2″ buttons, and featherweight fusible interfacing. Sweatpants: Coordinating thread, 1 yard of drawstring, 1 yard of 3/4″ elastic, 1 yard of 1/2? elastic, and featherweight nonwoven interfacing.